2. Describing the tools of Quantum Healing. 3. Including the A to Z list of over 100 symptoms and diseases. 4. 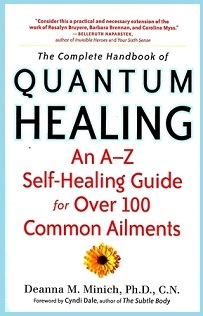 A guide to healing each of the common ailments listed. Guide includes: Physical description; Energy center(s); Nourishment (diet); Emotion(s); Limiting Belief(s); Power Animal; Flower Essence(s); Affirmation(s); Visualization; & Meditation. 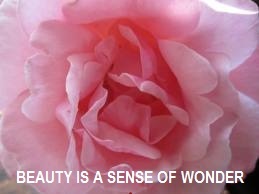 Beauty is a delightful quality associated with harmony, color, and loveliness of the world. Beauty allows us to feel our connectedness with all creation. Our creativity brings forth beauty in music, art, dance, and language. 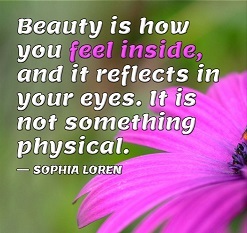 Beauty calls us to look beyond superficial appearance to appreciate the gifts in each person. I am thankful for the gift of Beauty. It nourishes my soul. The Beauty I see in the world is a reflection of the beauty hidden inside me. Depending on what medical report you read, between 37 – 40 million Americans suffer from chronic sinusitis. Today we will look at how acupressure can help relieve and open our sinuses. To relieve your upper or frontal sinuses, locate the acupoints Urinary Bladder 2 (B 2), on the inner edge of the eyebrow above the inner corner of each eye. Apply acupressure with your thumbs or fingers pressing upwards against the bony socket above the eyes. To open the sinuses in the cheek, use the following acupoints - Large Intestine 20 (LI 20) and Stomach 3 (St 3). Locate LI 20 in the groove in the middle of the outside edge of the nostril. Rest the thumbs against the jaw-bone for support and apply acupressure, pressing gently against the bone of the nose on both sides with the middle or index fingers. 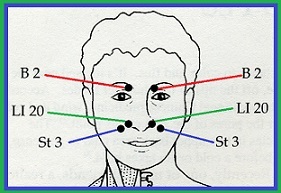 Locate St 3 on the cheek directly below the pupil of the eyes and level with the outside edge of the nostril. Again rest thumbs against the jaw-bone for support and apply acupressure with middle or index fingers perpendicularly, pressing against the cheekbone on both sides. It is recommended that each of these points be held for about 2 to 3 minutes. Then relax immediately afterward for longer lasting results. Gold is considered the color of universal love and thought to transform knowledge into understanding. It is the symbol of generosity and noble-mindedness. 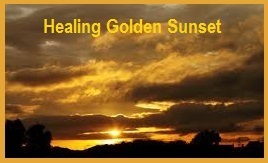 In color therapy Gold is an important healing color. It is recommended to gradually introduce the color Gold as a strong stabilizer for the immune system, nerves and digestion. It also helps to strengthen the meridians. 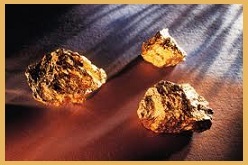 Gold is a mineral of spirituality, understanding and attunement to nature. It attracts positive energy and is a wonderful healing mineral. It is said that Gold can balance energy fields, and is beneficial for opening and balancing the Brow Chakra, Crown Chakra, as well as the Heart Chakra. 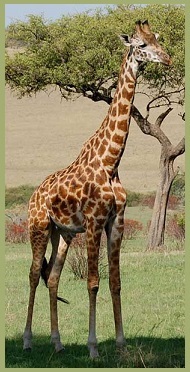 Welcome the great powers of the giraffe into your life, because she will be a great help to you. In the book Animal Spirit Guides by Steven D. Farmer Ph.D., the author shares some of the following giraffe powers. If a Giraffe shows up, it means: 1. Keep your head up, have faith, trust your instincts. 2. Reach for your goal. 3. Don’t act too hastily in present situations. 4. Spend more social time. 5. Be a better listener, and be clear in your communication. Call on Giraffe when: 1. Concerned about outcome of an event. 2. You’re tense and want to be more relaxed and friendly. 3. Have defined goal in mind but hesitant to take steps toward that goal. 4. You feel stagnant and complacent and have lost sight in where you are going in life. 5. You feel too involved with the material world at the expense of your spirituality. If Giraffe is your Power Animal: 1. You have a gift of foresight. 2. You enjoy casual socializing more than formal affairs. 3. You are a good listener and an effective communicator. 4. You balance spirituality and living in the material world. 5. You will stick your neck out if something appeals to you in spite of any risks. There are no limits to the heights I can reach in life. All the energy that comes my way is beautiful, uplifting & supportive of me. Sensation™ is a wonderfully fragrant, powerfully romantic blend that is extremely uplifting and refreshing. It was formulated to enhance the enjoyment of special moments and amplifies excitement of experiencing new heights of self-expression and awareness. Sensation™ is also nourishing, hydrating, and beneficial for many skin problems. Ingredients: Ylang Ylang-increases relaxation, Rosewood-nourishing to skin, Jasmine-brings joy and harmony to heart plus many more healing properties. Application: Diffuse or add 2-4 drops to bath water. Apply on location-neck or wrists. Blend with vegetable oil for body massage. Put 4-8 drops on cotton ball and locate at vents. Add 2 drops to a wet cloth and put in clothes dryer. Possible skin sensitivity. If pregnant or under a doctor’s care, consult your physician before using this Young Living Essential Oil™ product. Next place a pointed Citrine or Smoky Quartz below the navel pointed downwards. This is grounding, stabilizing, and will help release long-term stresses. The last piece of gemstone to put in place is an Amethyst Quartz Crystal in the center of your forehead. This calms the mind and encourages mental detachment from any emotional recall. Lie in this position for five to ten minutes or until you become aware of the feeling of balance and relaxation. 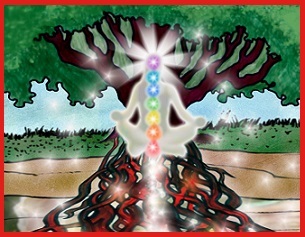 Enjoy future posts on healing with gemstones. 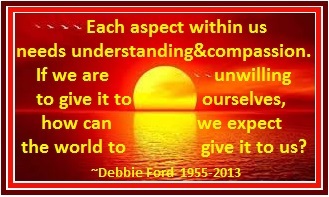 Self-compassion healing is when we honor and accept our humanness as we face personal difficulties. 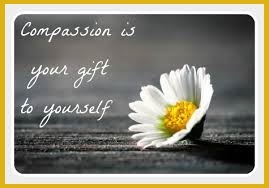 When practicing self-compassion, we become more compassionate for others. 1. Compassion that comes from the heart knows no bounds. 2. 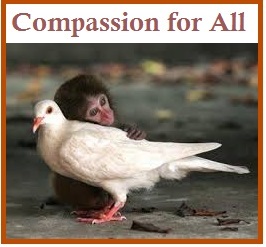 I am thankful for the gift of Compassion. 3. I have Compassion. It stirs my heart.